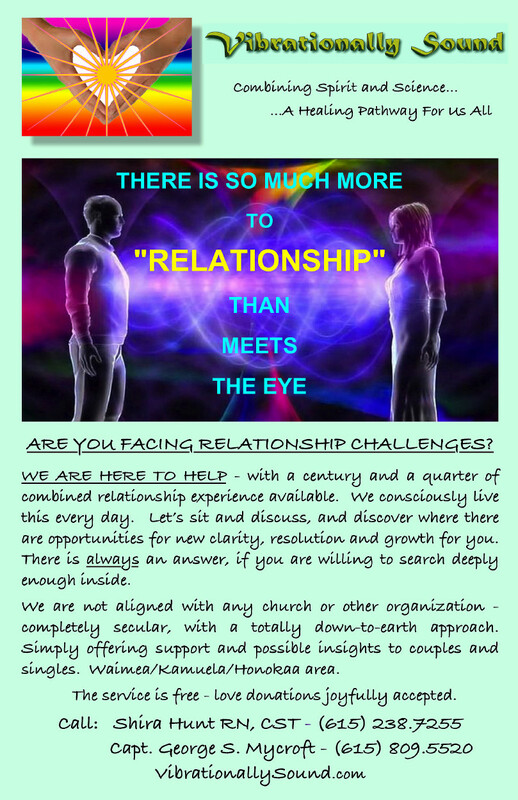 We are currently (December 2017 onwards…) offering Free Divine Relationship Counselling to singles and couples on the Big Island of Hawai`i. Please contact us if you wish to take advantage of this free service. Our Birth Note Chart Special is now available. Check out the sale here!